Carbon monoxide is an odorless, colorless and tasteless gas that can cause sudden illness and death. Carbon monoxide is commonly known as "the silent killer." When a person breathes air that contains carbon monoxide, it is absorbed through the bloodstream, displaces oxygen and inhibits the bloods ability to carry oxygen to vital organs such as the heart and brain. Each year, more than 500 Americans die from unintentional carbon monoxide poisoning. In addition, several thousand individuals are treated in hospital emergency rooms for carbon monoxide poisoning. The most common symptoms of carbon monoxide poisoning are headache, dizziness, weakness, nausea, vomiting, chest pain and confusion. High levels of carbon monoxide ingestion can cause loss of consciousness, coma and death. Unless suspected, carbon monoxide poisoning can be difficult to diagnose because the symptoms mimic other illnesses. If you suspect CO poisoning, call 911 or consult a health care professional. 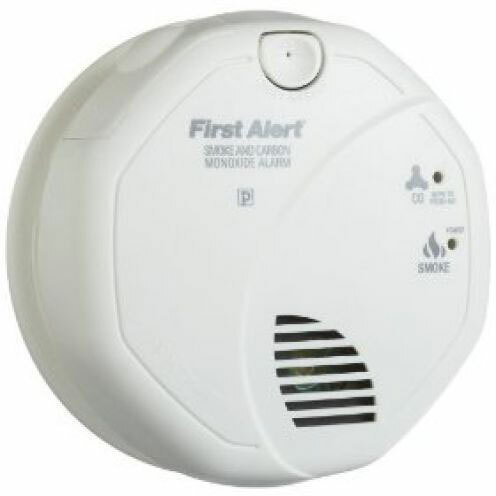 Carbon monoxide can only be detected with a carbon monoxide detector/alarm. These detectors are available in plug-in, battery-operated, or hardware models. Ensure your detector shows the "UL" marking (indicating it’s listed by Underwriters Laboratories). Consider placing a carbon monoxide alarm on each level of your home. Call for help from the fresh air location and stay there until emergency personnel arrive to assist you. Have the heating system inspected and serviced at least once a year. Have your chimney vent checked annually for blockages, corrosion, loose connections or debris. Ensure that chimney flues are completely opened when fireplaces are in use. Do not sleep in any room with a non-vented gas or kerosene space heater. If using a portable generator during a power outage, make sure the generator is operating in a well-ventilated area. Never refuel a generator while it is running or hot. Never leave a vehicle, mower or generator running in an attached garage, even when the garage door is open. Red Cross Winter Storm Safety Checklist www.redcross.org.